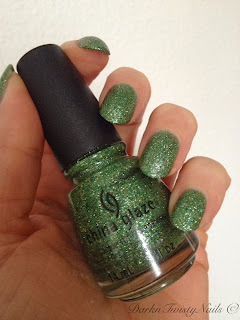 Time for another Mani Monday and the theme is Favorite Green! This was a hard one for me, I love green polish and own a lot. 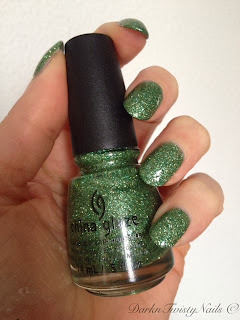 I was looking at my stash and just couldn't decide what to show you today, but with it being almost Christmas, I choose a fairly new polish, but one that I instantly loved because it looks like a Christmas tree on you nails. China Glaze This is Tree-mendous is part of the Happy Holiglaze 2013 collection and it's a jampacked green and gold micro glitter. This has that gritty, almost liquid sand kind of finish, without it being a true textured polish, it has the same finish as last years Winter Holly. The formula is really nice. It's opaque in 2 - 3 coats and dries really fast. 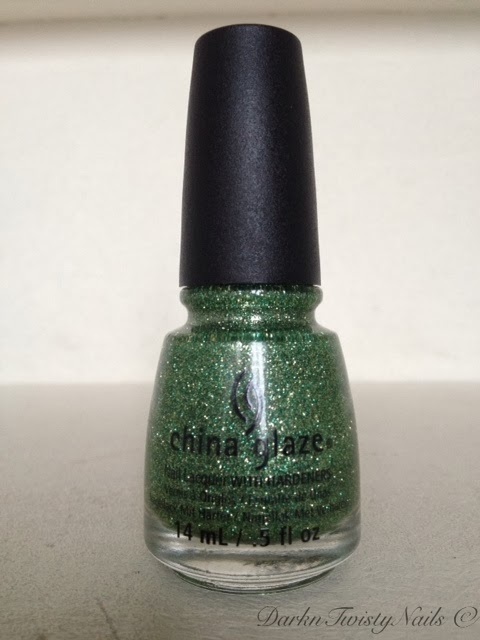 It does dry a little dull, so a top coat is a must to get it to sparkle. I wasn't quite able to capture all the sparkle in my swatches, I'd recommend checking this out in person, because it's really quite gorgeous. 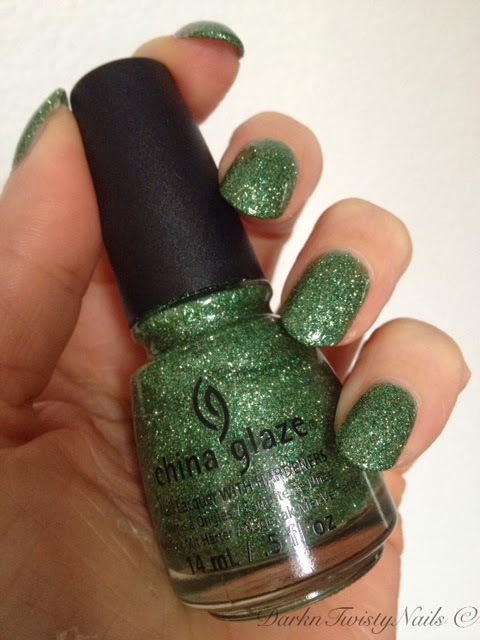 This is the only one I picked up from this years hina Glaze Holiday Collection. I liked the colors and am thinking about getting the other glitters, Put a bow on it and All wrapped up, but for the rest of the polishes, I just didn't think they were that special and don't even get me started on that white texture... That might quite possibly be the ugliest polish I have ever seen! Ohhhh....I think I need to go check this out. I love greens but for some reason don't have a lot of variety in my collection. Lots of mints and olives! Yes you do! I think you would totally love it! I have a few mints too, love them, but my skintone doesn't love them... I still buy them though, they keep calling to me, lol. Yuk, snow :( I love this one, I have it, but haven't swatched it yet. Looks fabulous on you! You have to try it, I bet it looks great on you!